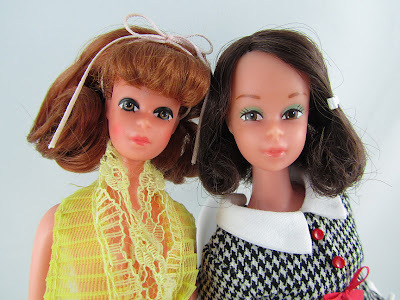 Doll Tale Thursday #1: Peggy von Plasty, A Francie Cousin? Flickr is not only an awesome site for photo sharing, it's also a great site to discover things here and there that you never would have thought existed. Take Peggy for example. I had been scouring the internet as usual for anything Francie. 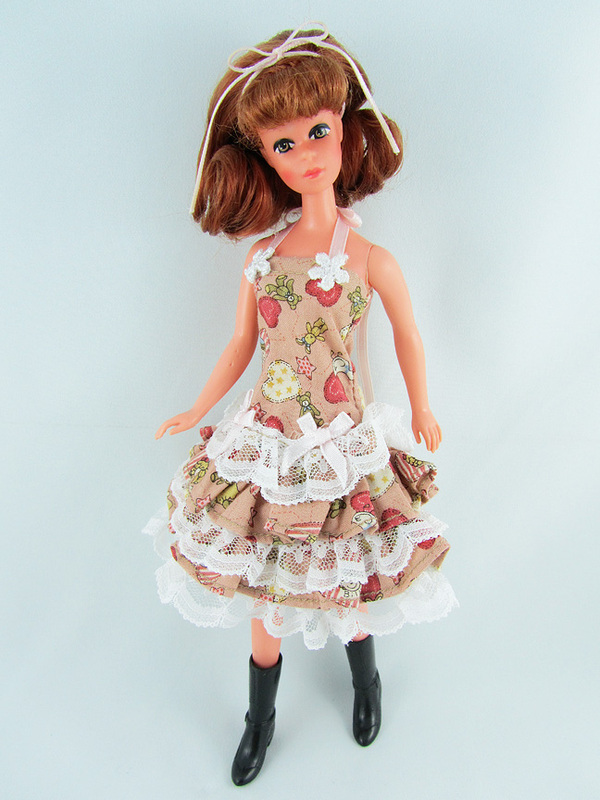 As I love looking at doll photos, I always end up in Flickr. Alas, there it was: a doll that looked like Francie but wasn't Francie. 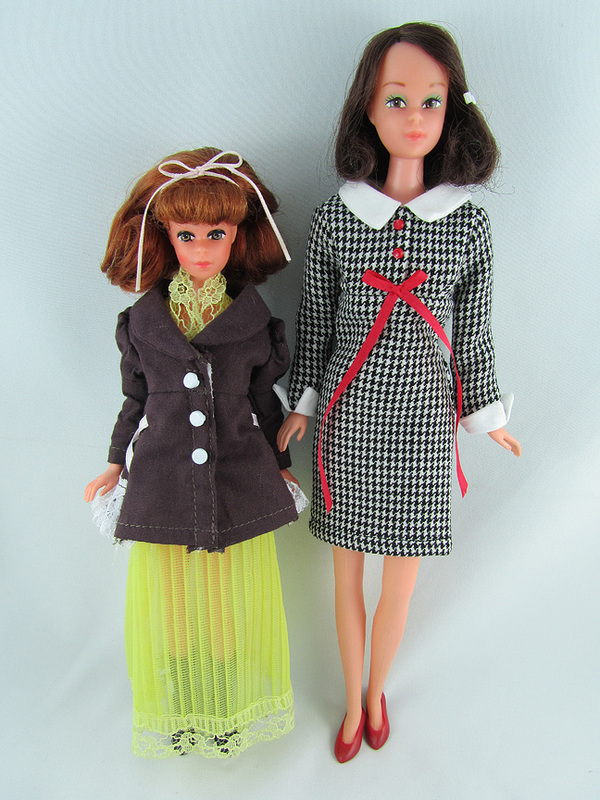 (To those who aren't familiar with Francie Fairchild, she is Barbie's mod cousin from the 60's.) And so, further searching began. I found out that her name was Peggy von Plasty and she was a doll created during the late 60's and early 70's by a German toy company named Plasty . These days, she is better known and has been labeled by some as Francie's clone. Her predecessor Petra was Plasty's answer to Mattel's ever so popular doll, Barbie, back in ye ole days of yore. As I couldn't find much info on these Plasty dolls, I can only assume that Peggy was Plasty's contender against Francie. You can clearly see the resemblance of the two. Of course I am very partial to Francie's sweet expression but Peggy to me has her own charm. I do not consider her a clone. I see her more as an extension of Francie's family, unrelated to the Roberts's (Barbie's last name) but rather a younger cousin on Francie's father's side. I say younger because she is so much shorter than Francie. I found my Peggy from Ebay. She came in the yellow lingerie seen on the photos. She's got spots and scratches on her but still in good condition. I purchased her at the time out of sheer curiosity, but as what usually happens, I ended up bonding with her in a flash. It's much better this way, I think. Adorable. She is very charming!